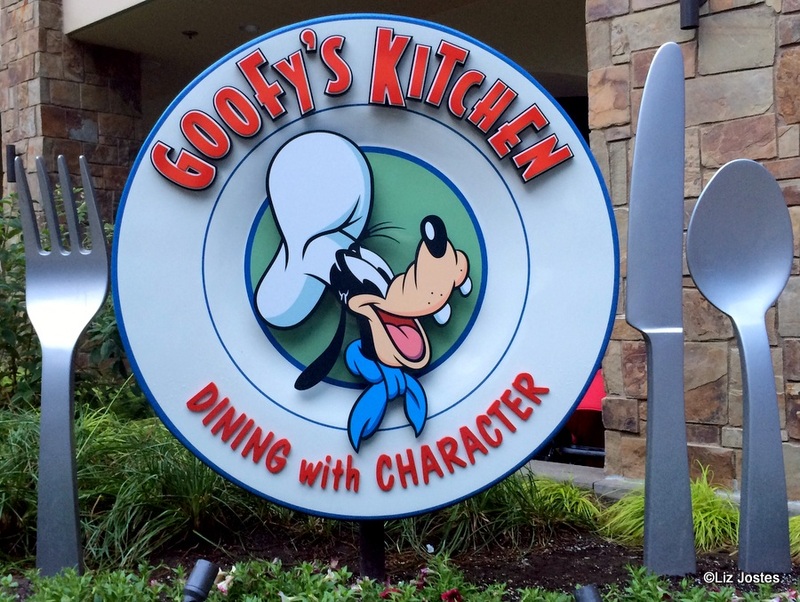 Today, we head to the west coast for a guest review of Goofy’s Kitchen at the Disneyland Hotel. Let’s take a tour — courtesy of guest author, Liz Jostes. For our family’s first trip to Disneyland, I booked breakfast at Goofy’s Kitchen. Since we were staying at the Disneyland Hotel and our flight home wasn’t until the afternoon, it was a perfect and convenient stop on our final morning on property. Goofy’s Kitchen is located next to the pool area in the Disneyland Hotel, and a short, easy walk from the Downtown Disney District (for those not staying at the Disneyland Hotel). 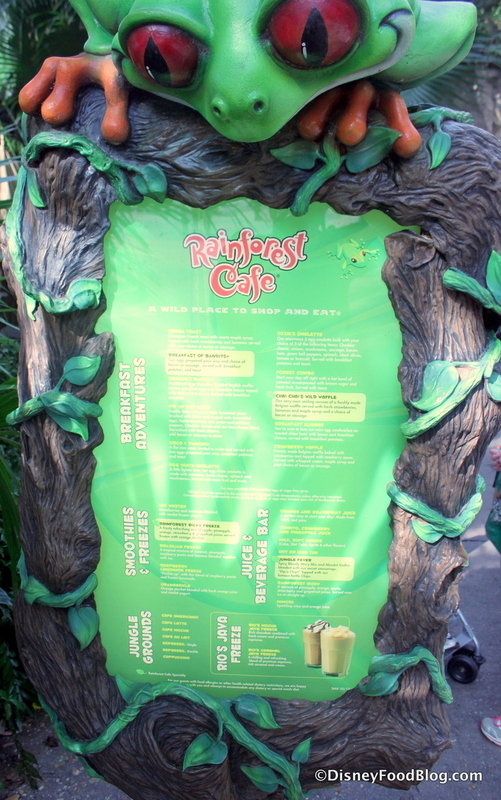 Rainforest Cafe is one of two table service restaurants that offer breakfast at Animal Kingdom. Tusker House is the other one, so if you aren’t looking for a character meal, this might be just the spot for you. We were meeting friends for the day at the park, and we thought getting our day started over a big morning meal seemed like a good idea! So let’s head there and check it out. 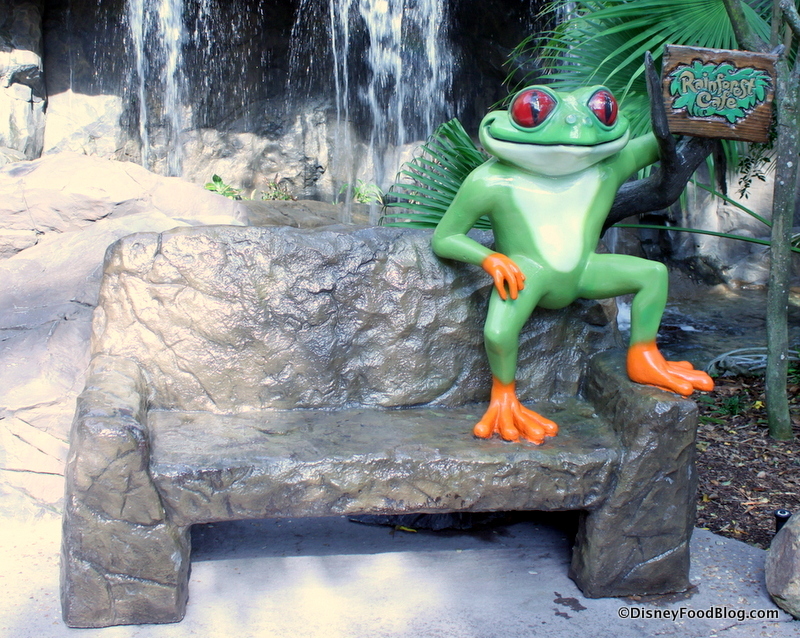 We’ve told you about lunch before at Rainforest Cafe. For that meal, we actually visited the location in Disneyland’s Downtown Disney District. 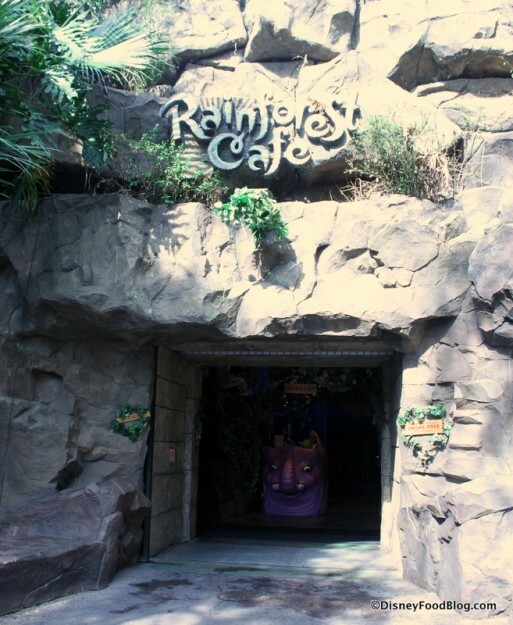 My experience with Rainforest Cafe is that they are remarkably similar once you get inside, so if you’ll only be visiting the Downtown Disney locations in either Disney World or Disneyland, much of what you see here will apply. But there are a couple of differences between the two Disney World locations. The Downtown Disney restaurant recently opened the Lava Lounge, an outdoor drinking and dining spot that offers great waterside (and volcano!) views. But back now to Animal Kingdom! The entrance to Rainforest is actually outside of the park’s main gate, so you don’t need a park ticket to dine here. However, you will still pay for parking if you’re not a resort guest. There’s a photo op with the restaurant’s mascot, Cha! Cha! the Red-Eyed Tree Frog, right at the front. Giant, red-eyed tree frogs scare me a bit, but the kiddos seem to love him! A menu posted at the entrance is handy if you’re looking to score a walk up table, which is totally possible.